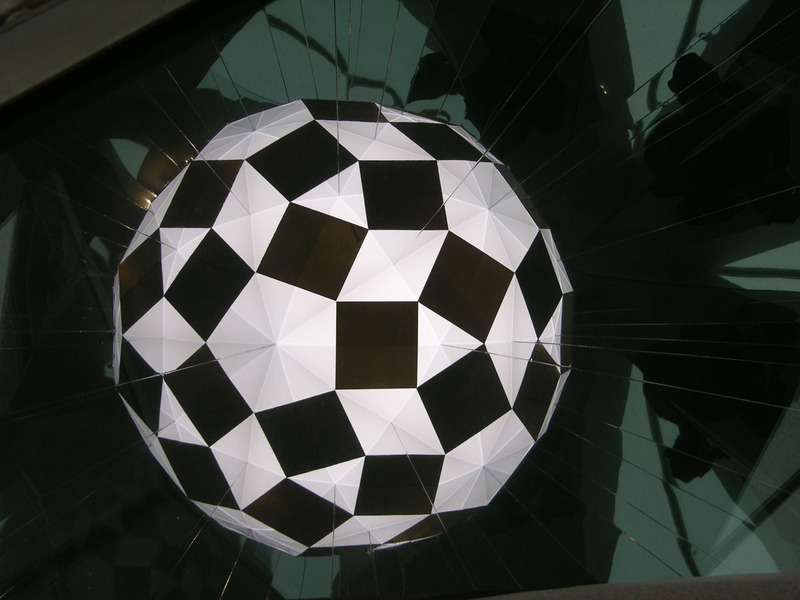 Design and construction of a series of reflective artworks by Olafur Eliasson. 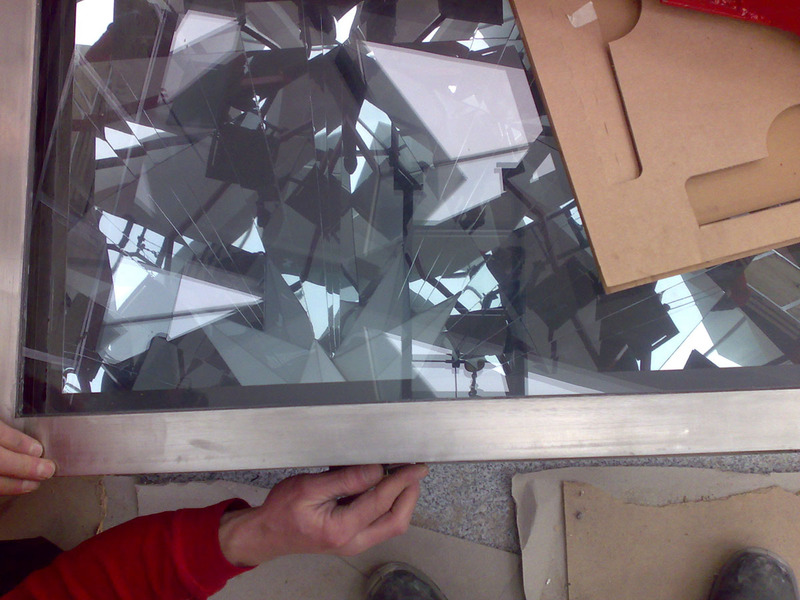 A triangular mirror, ca. 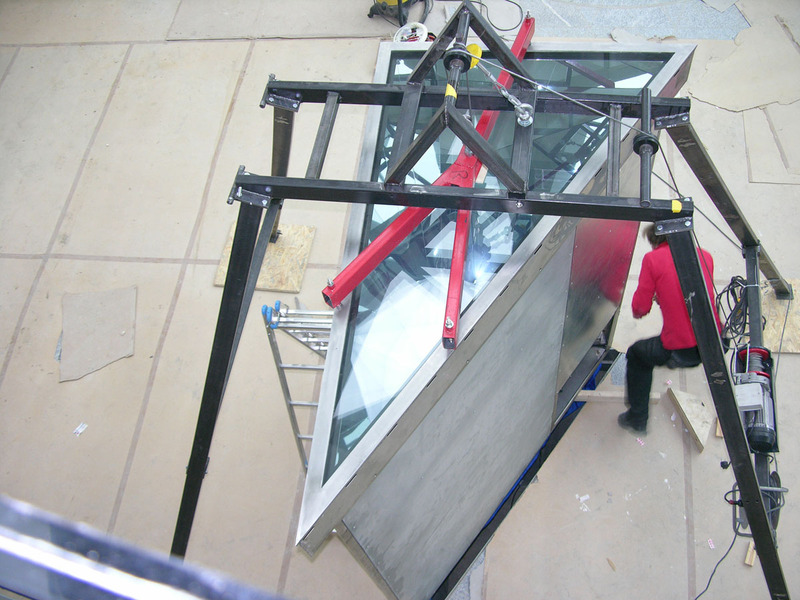 2m large, is arranged in special angles in a stainless steel frame made of a bespoke hollow profile under a dichromatic glass plate. 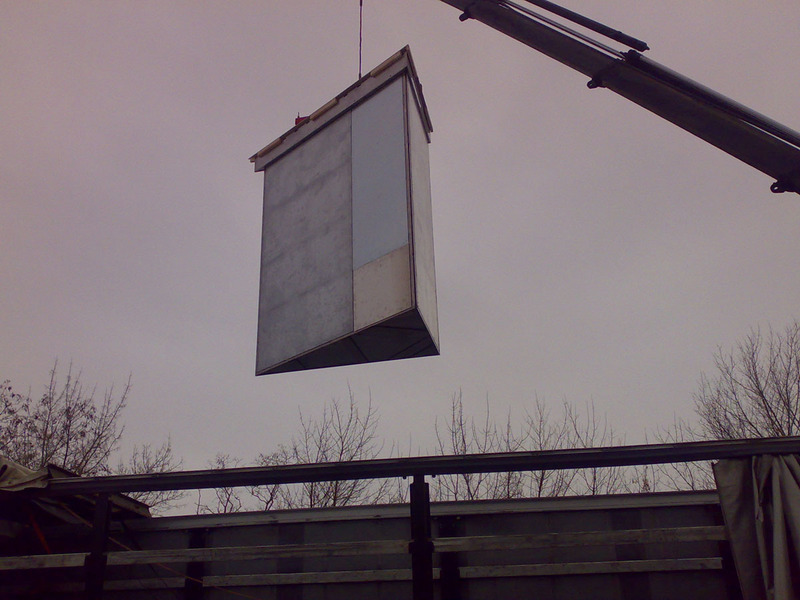 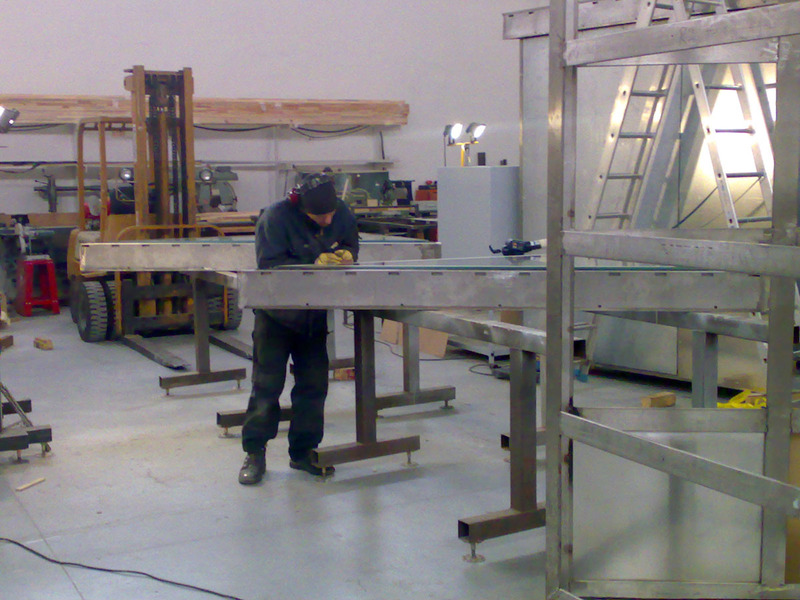 The resulting mirror is set 2.5 m into a specially manufactured base. 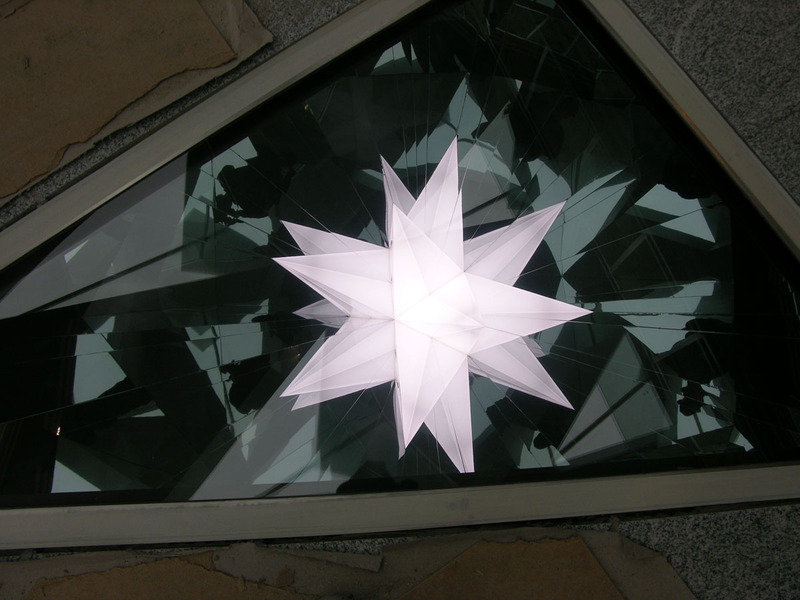 Through the opening in the top of the mirror body, light shines into the spatial triangle and is infinitely reflected through the incorporated mirror, thus producing a subterranean cosmos of stars. 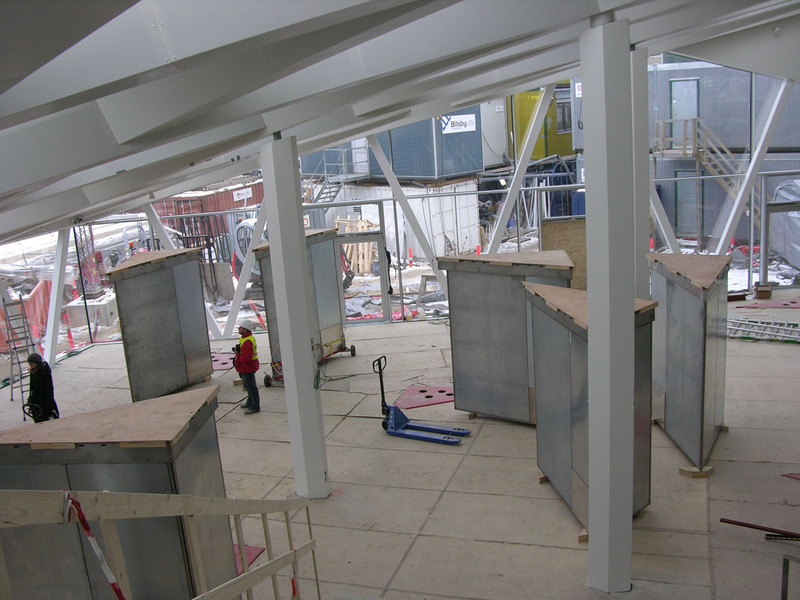 Between 2008 and 2012 a total of 12 kaleidoscopes, each with a star formation, have been built and installed.